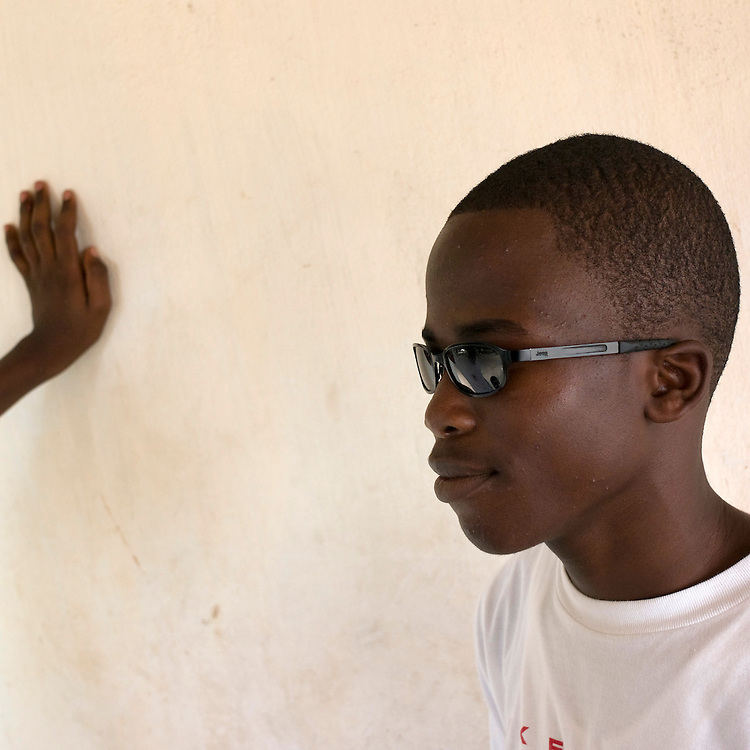 February 2008 - Derrick Toboussou, 16 years old, student at the School for the Blind in Cotonou, Benin. The School takes 80 blind students surrounding villages and at no cost to their families teaches them geography, science, math and a work for the future. Though the school belongs to the state, it receives considerable funding from ONG.